Make Your Getaway to the New Hampshire Lakes Region | Perfect Choice Properties, Inc.
Summer in the New Hampshire Lakes Region is the ultimate New England getaway! Comprising Lake Winnipesaukee, Lake Winnisquam, Lake Squam, Lake Newfound, Lake Sunapee, Lake Ossipee, and more than 250 smaller lakes and ponds, the N.H. Lakes Region has been welcoming vacationers for more than a century – many of whom eventually trade in their summer rentals for vacation-home ownership. From paddleboat and kayak rentals to yacht club memberships, the Lakes offer boating fun for all interests. Ready to stretch your legs on land? Explore the Lakes Region by foot on its many historic trails and hiking paths. The 5.6-mile Plymouth Heritage Trail loop offers a bite-size version of the 230-mile New Hampshire Heritage Trail in the historically rich city of Plymouth, home of Nathaniel Hawthorne and Robert Frost. An invigorating climb up Belknap Mountain rewards you with beautiful views of Lake Winnipesaukee below and the often-snow-capped Mount Washington in the distance. Relax and refresh after your day’s exertions at any of the independently owned cafes and restaurants that line the streets and docks of the Lakes Region’s small towns. Sound like the ideal place to spend your summer days? 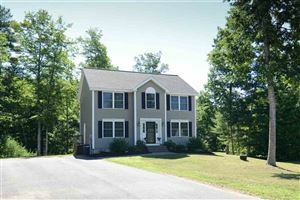 Available real estate in the New Hampshire Lakes Region ranges from custom homes to charming cottages and cabins. Let us help you make the perfect choice in your Lakes Region home!